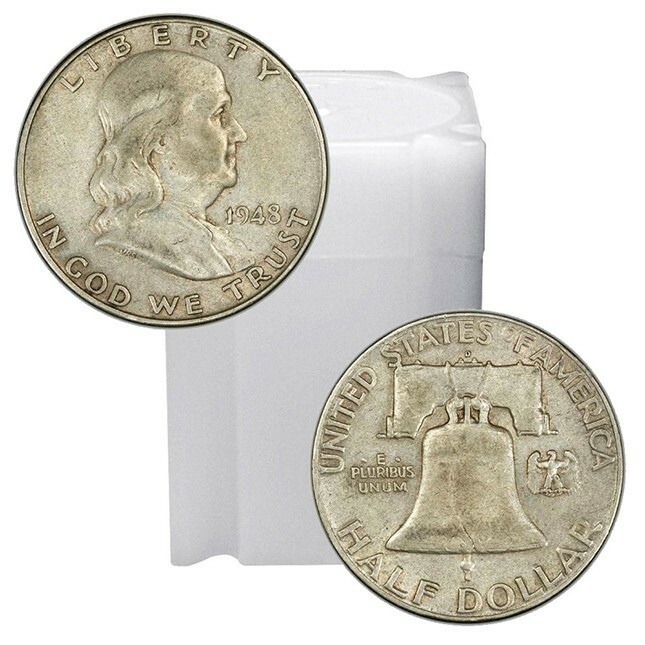 Even though modern circulating coins are no longer made of silver, you can still purchase these 90% silver Franklin half dollars, which circulated throughout the country for years. Silver half dollars were common in pocket change until the 1960s, when wise collectors picked them out of circulation and the US Mint eliminated silver from American coinage. They are still prized by both collectors and investors. Legal tender coinage produced by the US Mint from 1948-1963. However, circulated 90% silver coins are still traded as an investment product around the world. These coins are sometimes referred to as “junk silver” because they are in circulated condition, but make no mistake: they are a wise investment, indeed. If you put away a paper $10 bill in 1965, you’d still have $10; but a roll of pre-1965 Franklin half dollars is now worth many, many times that! The Franklin half dollar honors one of our nation’s most notable founding fathers, Benjamin Franklin. John S. Sinnock, the Mint’s Chief Engraver, was responsible for the design. It replaced the Walking Liberty half dollar in 1948. These half dollars were produced in large quantities until 1963. With the assassination of John F. Kennedy in November of that year, it was quickly determined that the fallen President would be honored on a new half dollar; the Kennedy half dollar was introduced in time for 1964. Only $1.99 Per Oz Over Spot!